Mr. Nostalgia | Nicole, Deipnosophist. This picture was taken a couple of months ago at my father’s retirement party. I meant to post it then, but have just been a bit lazy. 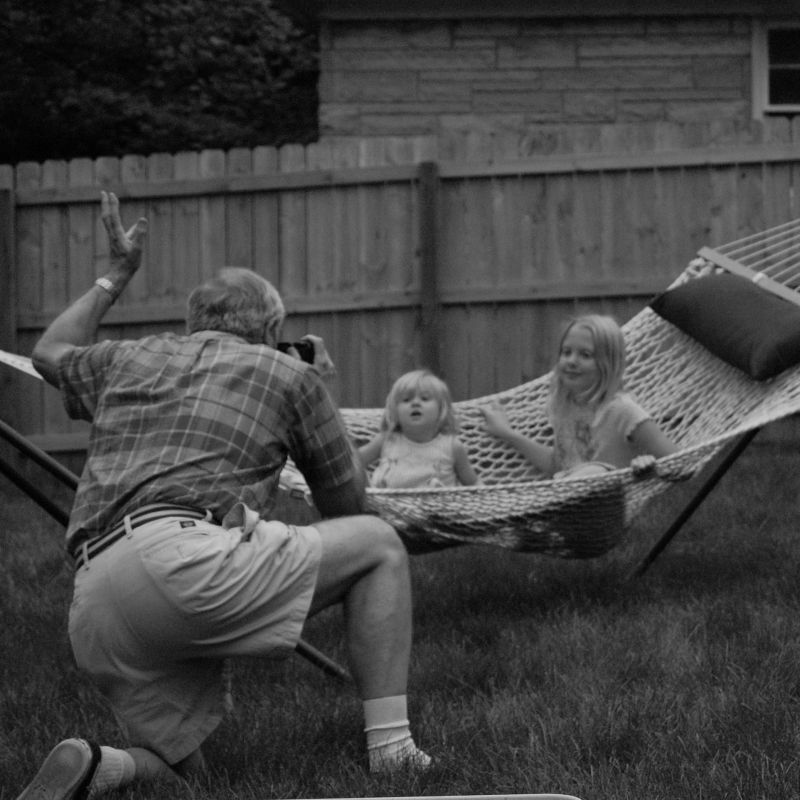 I love the total Proud Grandpa pose of my dad, wildly flailing his hand to catch the attention of two of his grandkids. I made the image square and added the black-and-white graininess to add to the nostalgic look.